Comments Off on Bruins Fall Behind Early to Hornets In Exhibition Play! Bruins Fall Behind Early to Hornets In Exhibition Play! In their third exhibition game of the season Uxbridge fell behind early and were down 3-0 after the first period. They then allowed 2 more goals to Alliston in the second before Shane Smith got his team on the board. A third period marker by Kory Brand was the final goal in a 5-2 loss in the first of two games with Alliston. The goaltending duties were shared by J Joosten and B Shaw. The Bruins travel to Alliston on Tues Sept.2 with a 7:pm warm up time. Comments Off on Bruins Get Revenge Over Schomberg! Bruins Get Revenge Over Schomberg! 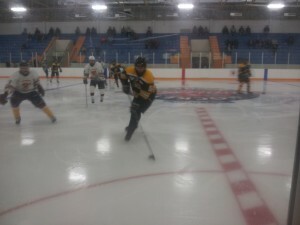 The Uxbridge Bruins rebounded from last night’s loss with a come from behind 5-3 win over the Cougers in Stouffville tonight. Uxbridge scored first but were soon down 3-1, but they would tie the game and then take a 4-3 lead. A short handed empty net goal sealed the win. Scoring for Uxbridge was Siblock with two, Williamson, Reilly and Cheung. Uxbridge plays at the Bear Den next thurs Aug.28 against the Alliston Hornets. 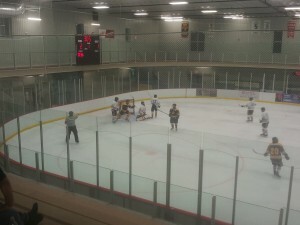 Comments Off on Bruins Rookies Lose 1st Exhibition Game in OT! Bruins Rookies Lose 1st Exhibition Game in OT! The Uxbridge Bruins main camp is well under way and the Bruins took a rookie squad into Schomberg Aug.21st and came away with a 5-4 OT loss. Scoring for Uxbridge was M Varsamis, D Ross, M Gavrilov and D Macriner. The Bruins fell behind 2-0 before taking a 3-2 lead in the second and added to that in the third but could not hold onto the 4-2 lead. T Mitchell and J Jooston shared the goealtending duties. 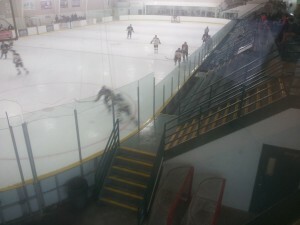 Uxbridge plays Schomberg on Fri Aug.22nd at the old Stouffville arena with a 7:30 pm warmup. Comments Off on Former Uxbridge Bruin Named by Toronto Maple Leafs as Assistant to Dave Nonis! Former Uxbridge Bruin Named by Toronto Maple Leafs as Assistant to Dave Nonis! Photo Courtesy of the NHL! In 1993 Brandon Pridham was becoming a reckoning force with this young Bruins club where he played 4 seasons and by the 95/96 season he was team captain leading the Bruins to a 1st place and Central C League Championship. Today he is assistant to Dave Nonis the GM of the Toronto Maple Leafs of the NHL after working at the NHL head office as their Senior Director, Central Registry and Senior Advisor, Central Scouting. 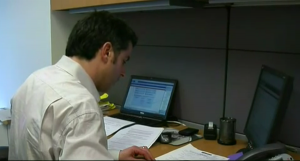 He joined the NHL administration in 1999. With Toronto he will assist with the salary cap, collective bargaining agreement and contract negotiations.